The chances are, this recipe is nothing like the butter chicken you’ve ordered countless times from your local Indian takeaway. I too have ordered it more times than I care to admit, so I know what passes for butter chicken these days and most of it is pretty dismal. So much so, I have actually stopped ordering it altogether, for fear it would put me off Indian food completely. As you might have gathered, I’m somewhat disillusioned about the state of butter chicken these days – especially when I consider what a wonderful dish it truly is! Unfortunately, this venerable dish has largely been reduced to being the poster-child for unimaginative and pedestrian Indian fare. When made well, however, butter chicken undoubtedly deserves its place amongst the great Indian classics. Rich, decadent and wonderfully spiced, this dish is a real winner and should feature in any Indian feast. As tasty as it is, the real appeal of butter chicken is how easy it is to make! Primarily cooked in the oven, the dish frees up valuable stove space – a godsend when you’re trying to juggle up to six dishes on a 4 plate hob! 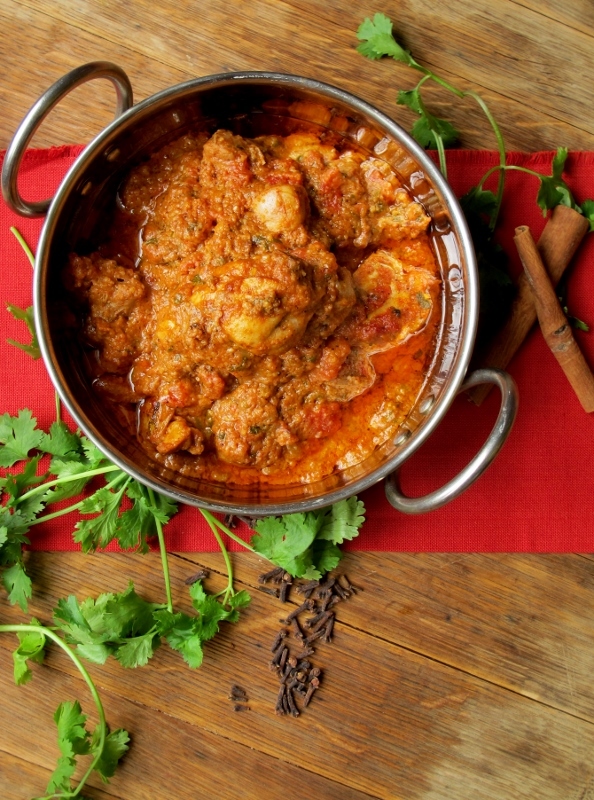 Like most curries, butter chicken can also be made in advance and gently reheated before serving. In the case of butter chicken though, it should be placed under a grill to be heated through and lightly browned, rather than on a hob. Note: Please do not ever be tempted to make butter chicken with anything other than chicken thighs, especially not breast meat, which will come out completely dry and taste terrible.